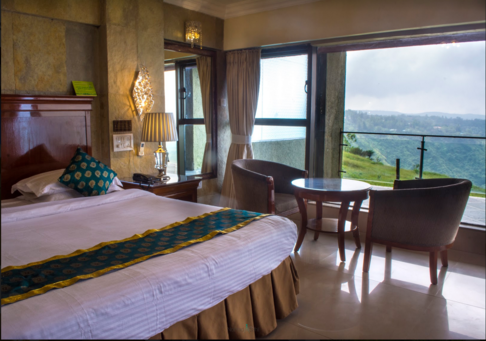 Ravine Hotel is a three-star luxury hotel overlooking the Krishna Valley. 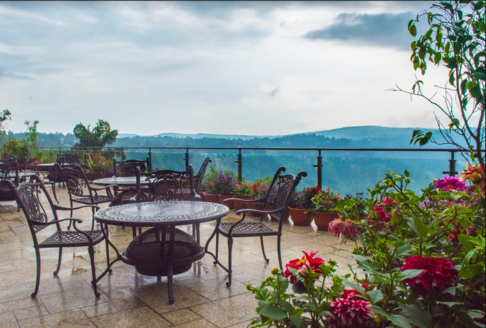 Ravine Hotel’s valley views are a hit with leisure guests, especially families, who visit Panchgani to escape the heat and pollution of nearby cities. It is also a big hit with business guests who come here to relax in the peace and quiet of this popular hill-station. Ravine Hotel’s team building activities also draw corporate employees, who come to enjoy the camaraderie of colleagues and participate in group adventures. Situated just a few hours from the metropolitan cities of Mumbai and Pune, Panchgani is the preferred hill retreat for the city-weary holidaymakers. From trekking and hiking routes to points like Sydney Point and Parsi Point to adventures sports and water sports at the Dhom Dam, Panchgani has something for everyone. 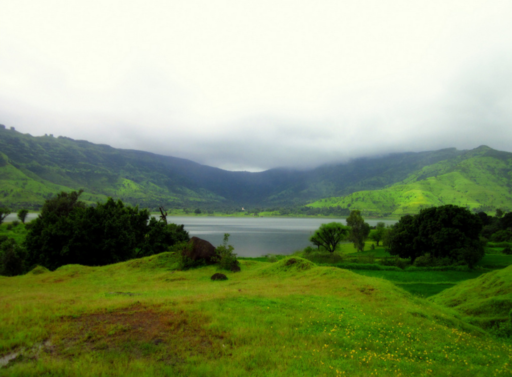 Wai, which falls on the way to Panchgani has places like Mapro Food Park and Mahaganapati Mandir, Wai too. 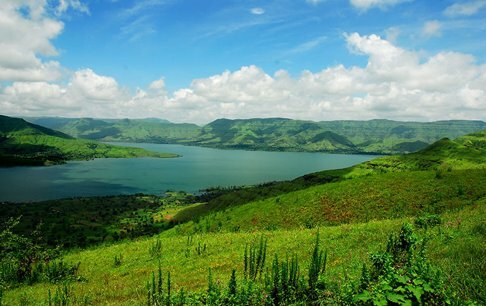 Panchgani is also just a short distance away from another beautiful hill station, namely Mahabaleshwar. In short, a stay at Ravine hotel in Panchgani gives you a plethora of recreation options to choose from. Ravine Hotel offers rooms as well as camping tents. The ground floor, the ground floor premium and executive rooms can each lodge four people. All the other rooms, namely the East Side rooms, the Junior Executive room, the Valley Side rooms and the Valley Side Plus house two people each. All the rooms have comfortable king size beds and tasteful decor, not to mention unique rocks slab walls. With regards to tents, The Emperor’s Tent, which houses six people, has a private deck and an infinity edge plunge pool. The King’s Tent houses four people, while all the other tents, namely Queen, Prince, Princess and Eagle Tents house two occupants each. 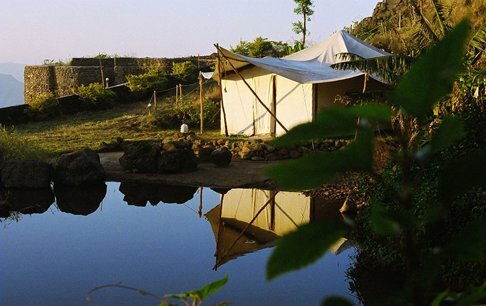 Each tent is private and offers luxury despite the rustic, outdoor camping feel. The Ravine Hotel’s restaurant, The Melting Pot, serves up delicious food, thanks to expert chefs who are experienced in preparing authentic Moghlai, Chinese and South Indian food. There is also breakfast buffet spread for those who prefer variety to a la carte. Guests swear by the ‘melt-in-the-mouth’ soft naan and butter chicken available here. You can choose to dine indoors and enjoy your company or dine outdoors and breathe in the valleys. You can also check out the other nearby dining options in Panchgani. Additionally, Ravine Hotel has its own souvenir shop, an on-premises spa, and an on-premises hair salon. It also has an indoor entertainment room, a swimming pool and a large, well-stocked gymnasium. If tennis is your thing, Ravine Hotel has four international-standard tennis courts. Ravine Hotel also has its own art gallery, which showcases the talent of one of its owners. In short, Ravine Hotel has everything you might need to keep busy indoors, should the weather play spoilsport on your holiday. 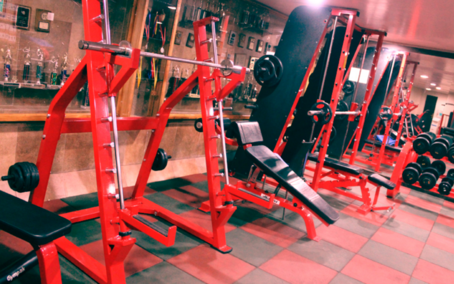 Ravine Hotel’s location also makes it easy for your experience some of Panchgani’s fitness and sport activities. 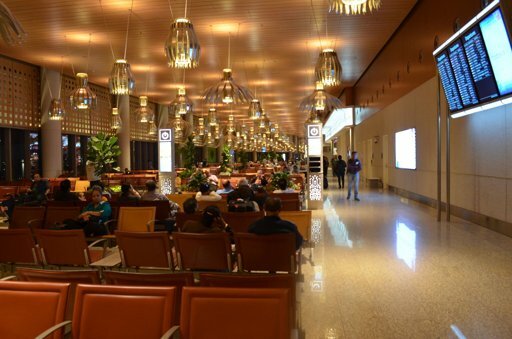 Pune International Airport is the airport closest to Panchgani. It is roughly a two and half to three hour drive from the airport to any Panchgani hotel. The drive takes you through the beautiful Western Ghats. You can also get to Panchgani from Chhatrapati Shivaji International Airport. It is a four and a half to five hour drive, depending on traffic conditions. Air conditioned buses also ply to and fro from both Mumbai as well as Pune, but they take longer. If you are traveling to Panchgani, keep these traveling tips and essentials in mind. If you like to arrive in style, Deccanair offers helicopter services to reach Ravine Hotel in a faster manner and with views to die for. 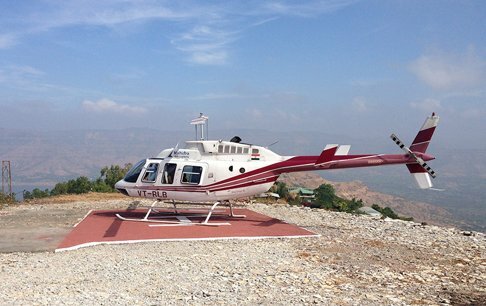 Ravine Hotel is one of the few premier hotels to provide its guest with helipad services.